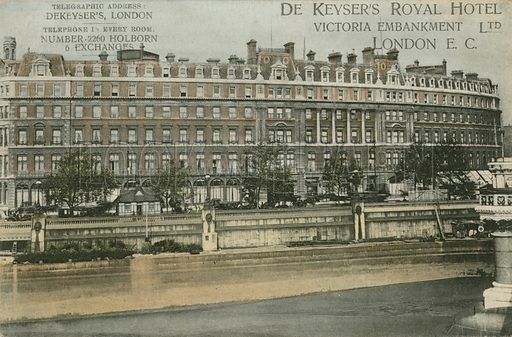 De Keyser's Royal Hotel, Victoria Embankment, EC. Postcard. Available worldwide for immediate download up to 4,935 x 3,242 pixels.